Applications for the Miss State Fair of Virginia Pageant are being accepted through Oct. 15. The pageant will be held Oct. 29 at The Meadow Event Park. To win blue ribbon bragging rights, you’ve got to enter one of the State Fair of Virginia’s many competitions. Those who dream of becoming the next Peyton Manning, Jason Elam or Matt Bryant will have the opportunity to showcase their pigskin skills Oct. 1 at the State Fair of Virginia. Preserving fruits and vegetables is a time-honored tradition, and so is winning a blue-ribbon at the State Fair of Virginia. But only one entry can be judged best in its class each year. State Fair of Virginia visitors stopping at Virginia Farm Bureau Federation’s booth will be able to get some hands-on learning about the state’s largest industry: agriculture. The State Fair of Virginia’s concert lineup for 2015 will include bluegrass artists the Steep Canyon Rangers, Virginia favorite Jackass Flats, country artists Chris Janson and Josh Thompson, beach music from The Tams, rock classics from The Little River Band and a rousing finale from the Charlie Daniels Band. 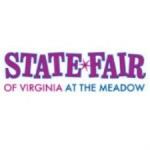 Fairgoers can save up to 38 percent on State Fair of Virginia tickets—and spend less time in line—when they buy advance tickets online starting Monday, Aug. 3 at StateFairVa.org. 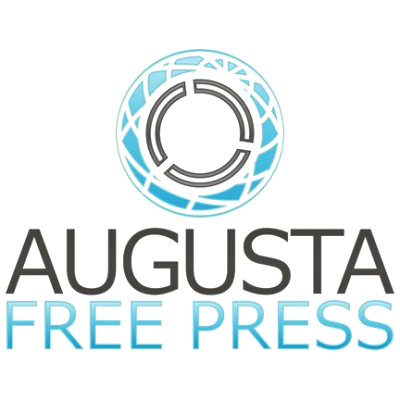 A benefit livestock auction, an agriculture-themed magic show, tractor pulls and farm animal exhibits are among ag-related elements of the 2015 State Fair of Virginia. It’s nearly time to get those toes a-tappin’ during the State Fair of Virginia’s bluegrass weekend. The weekend of Sept. 26 and 27 will feature a special salute to bluegrass music. After several years on hiatus, the Youth Livestock Sale of Champions will return to this year’s State Fair of Virginia at 6 p.m. on Oct. 3. 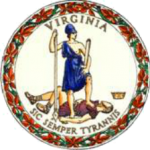 The 2015 State Fair of Virginia, dedicated to showcasing the best of Virginia, is seeking the state’s most vibrant arts and crafts, the most delicious baked and preserved foods, the lushest plants and crops, the hardiest livestock and the most skilled equestrians for this year’s competitions. The historic yearling barn area at The Meadow Event Park, once a hub of equine activity when Secretariat lived there as a frisky colt, came alive again during the State Fair of Virginia. Prime is headed to the State Fair of Virginia on Friday to perform a mix of styles from country to funk and everything in between. Prime will take the stage at 2:30 pm. Emma Leigh and Lee Cherry Entertainment have made a deal to promote and service “Daddy’s Gonna Kill Him” the new single from the Virginia-based country artist to Global Radio. Plump orange pumpkins are ripening in the field, scattered on the ground. In those same fields, you might also find white pumpkins, green pumpkins, striped pumpkins, miniature pumpkins and a host of other varieties. Battered, dipped and fried describes many of the mouth-watering foods at this year’s State Fair of Virginia.